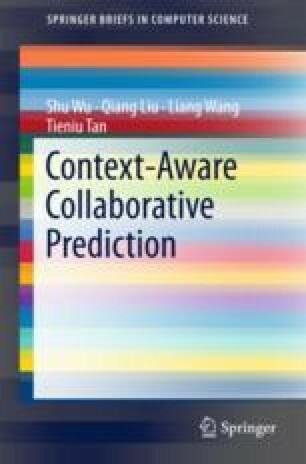 Motivated by recent works of natural language processing, this chapter introduces the concept of contextual operation for context-aware modeling. This operation represents each context value with a latent vector and models the contextual information as a semantic operation on the user and item. Besides, the contextual operating tensor is used to capture the common semantic effects of contexts. This chapter introduces notations and fundamental concepts of context representation, and then thoroughly presents the contextual operating tensor (COT) model. Finally, the process of parameter inference and the optimization algorithm is discussed. Parts of this chapter is reprinted from , with permission from IEEE.